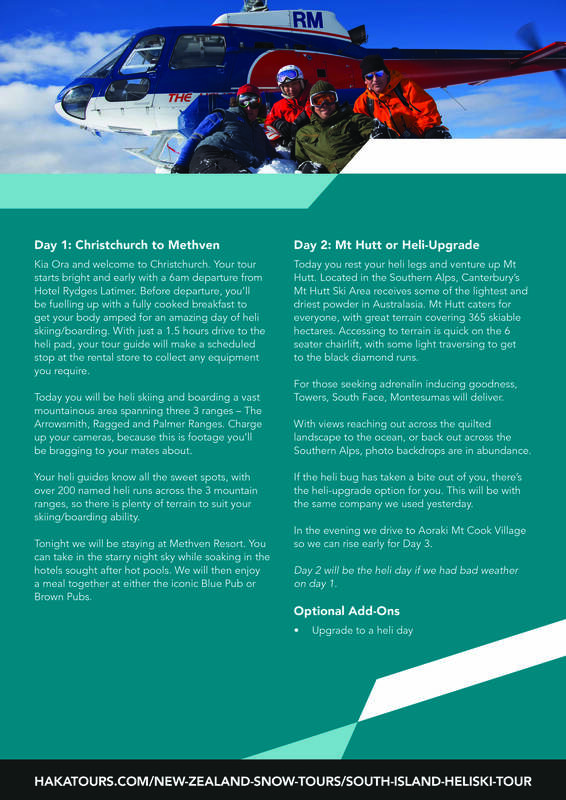 This ultimate guided heli-ski tour takes you heli-skiing on three of New Zealand's most epic mountain ranges. 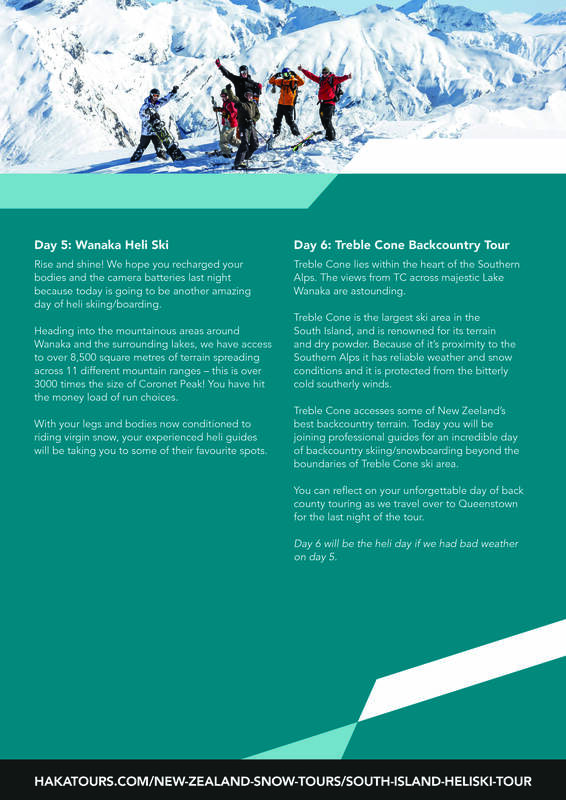 Not only that, you also get to head into the back country behind Treble Cone, for a unique guided back country day without a chopper. 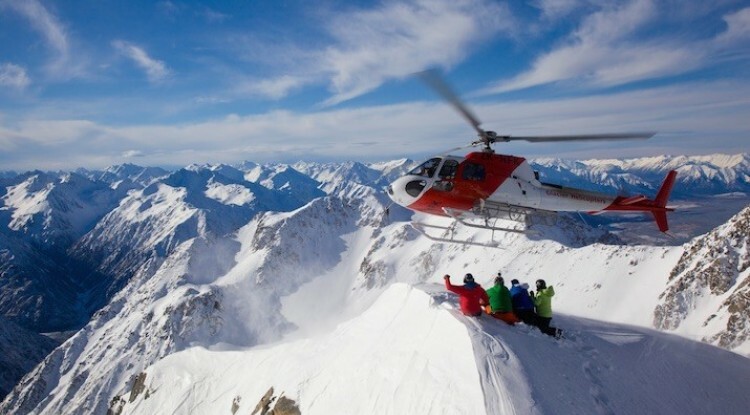 If you are keen on helicopters, after some steeps/ long runs, fresh powder and are a strong intermediate to expert skier or snowboarder - this is the trip for you! 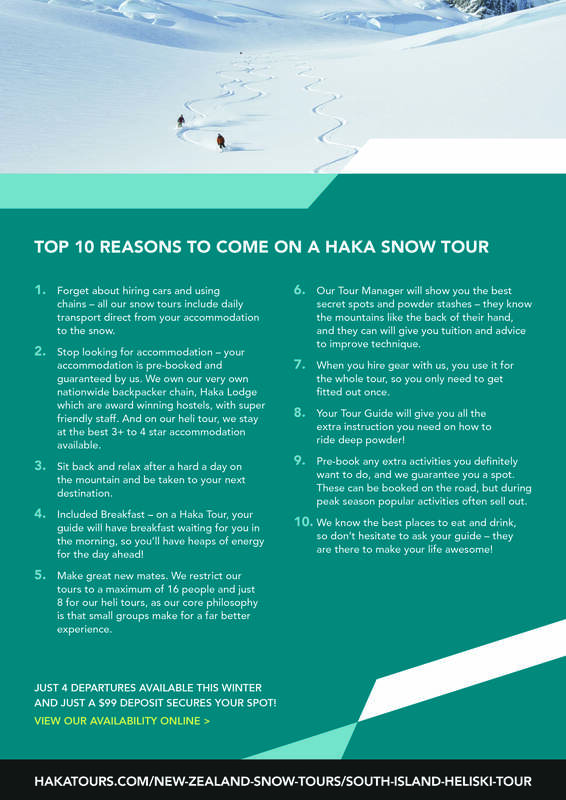 The tour starts in Christchurch and ends in Queenstown, with Methven, Mt Cook and Wanaka being your heli-ski stops. 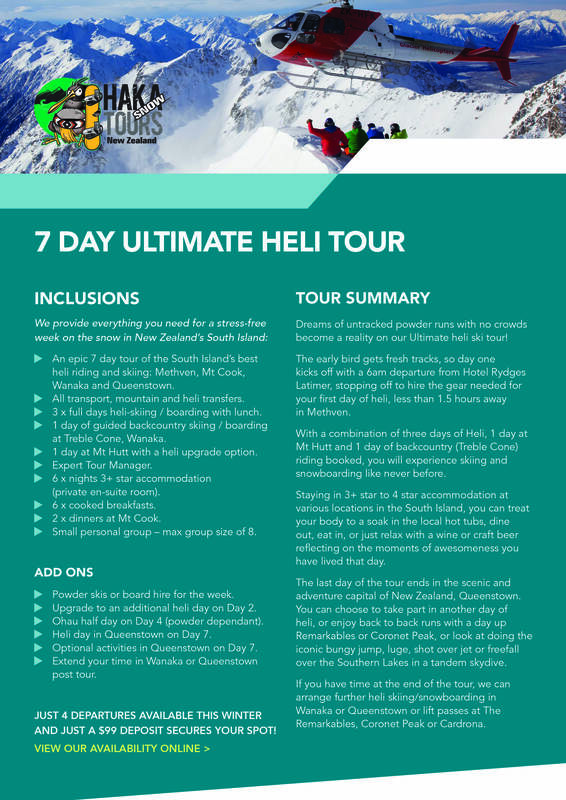 If love is what you find after your first day of heli, there is the option of upgrading to a fourth heliski day, allowing an extra day in the Arrowsmith Ranges behind Methven. 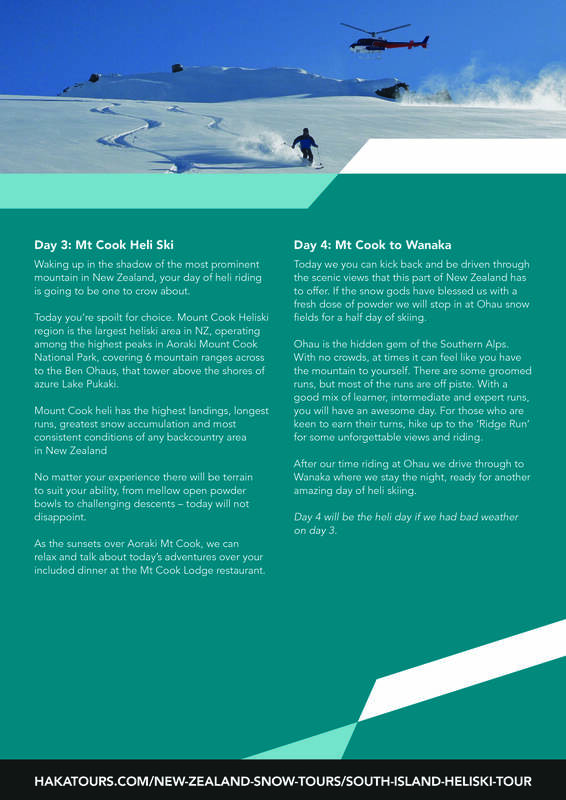 You then carry on to Aoraki Mt Cook, New Zealand's largest mountain peak for your second heli-ski stop. 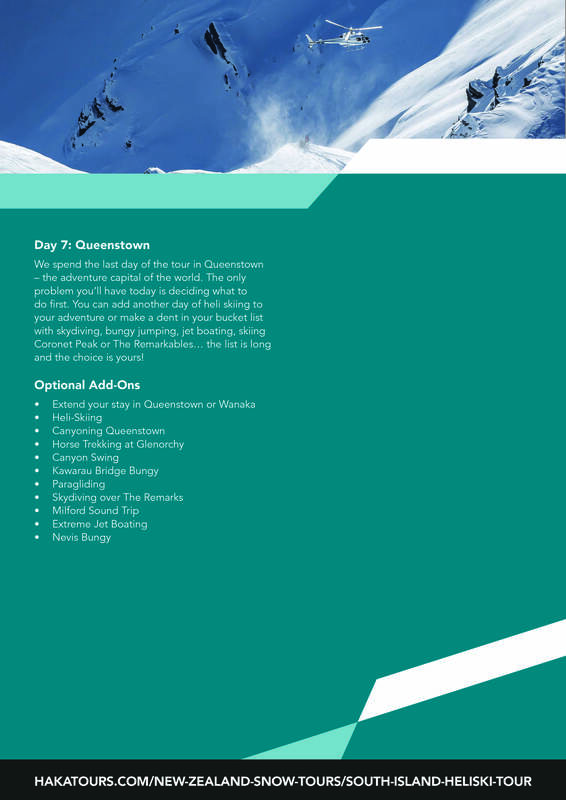 Onwards to Wanaka for your third heli stop and back country day, finishing in Queenstown, where is the plenty of non skiing activities you can do to help rest the legs!